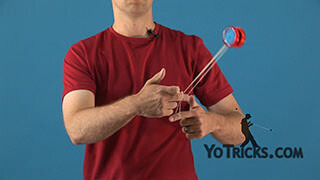 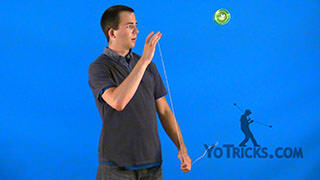 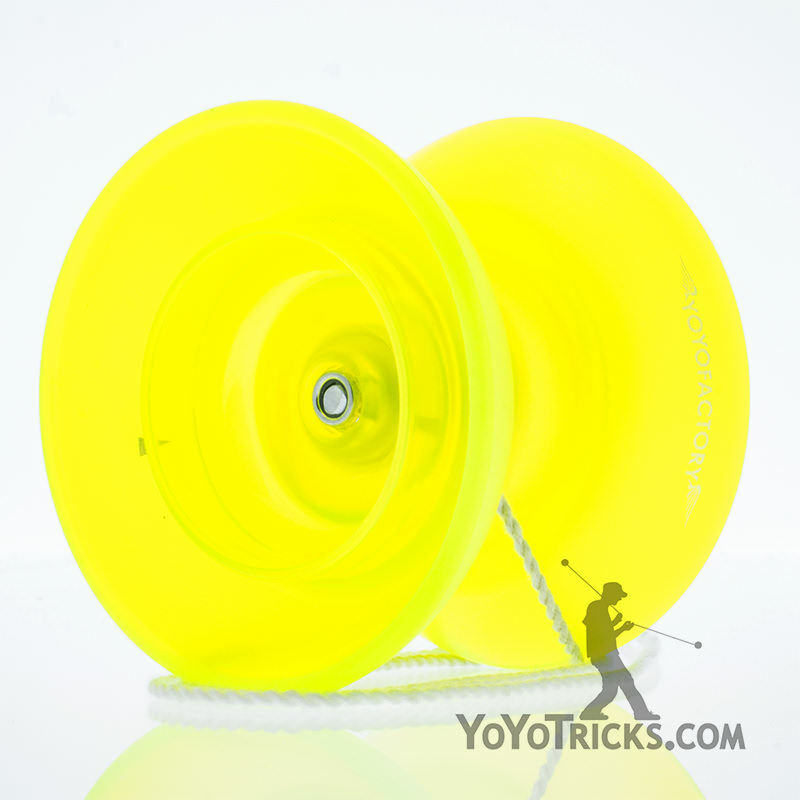 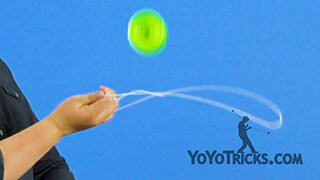 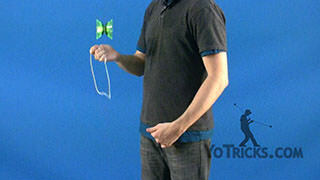 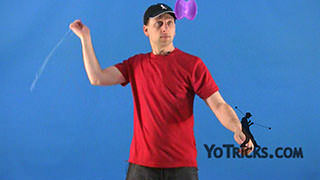 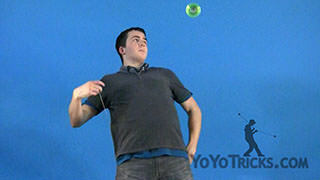 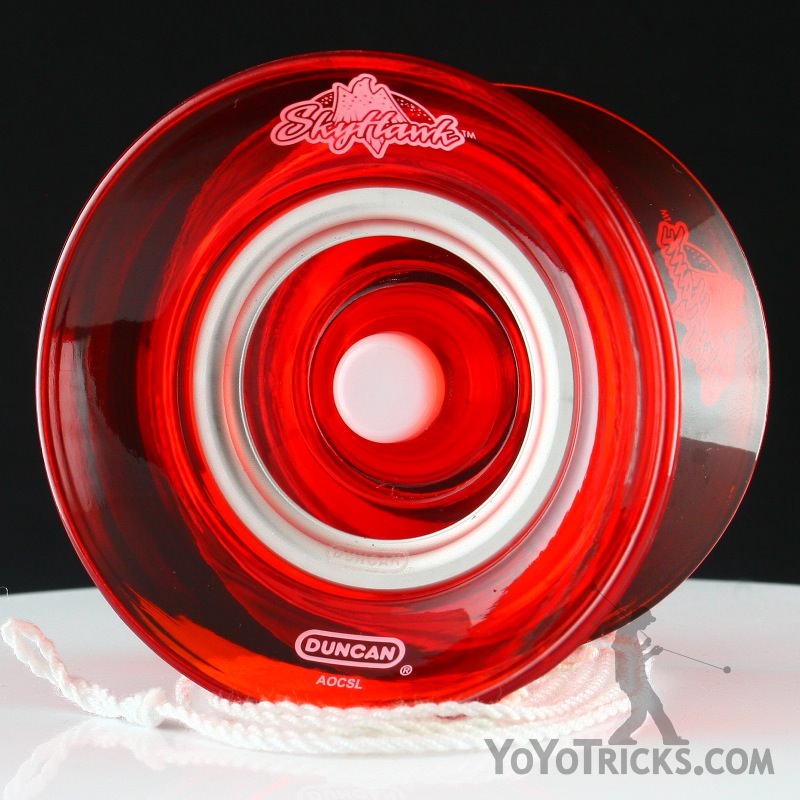 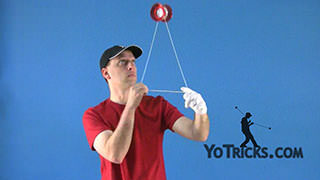 Learn how to do the backburner offstring yoyo trick. 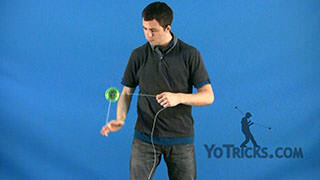 Backburner 4A Yoyo TrickThis trick is called the Backburner, it looks like this. 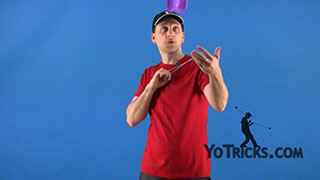 As you can see there is not a whole lot to this trick, but there is a couple of things that you need to keep in mind when you do it to make sure that you get it just right. 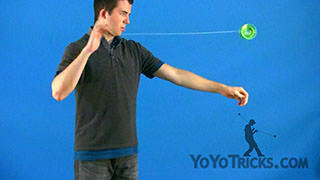 All you are going to do is just swing the yoyo, you are going to swing it back behind your arm, and let the string go. 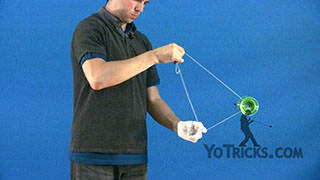 Then you are going to have to grab the string and bring it back in front of you to catch the yoyo. The first thing that you are probably going to get wrong if you are not paying attention, is you are going to wonder where the string is. 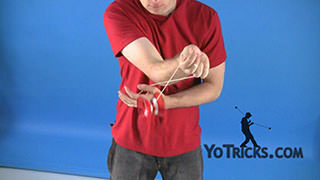 When you let the yoyo go you are actually going to want to hold your hand back here, next to your armpit, when the yoyo is actually released from the string you feel the string hit your hand, then you can grab it and pull it forward. 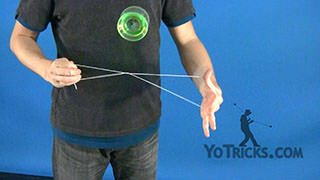 That takes a little while to get used to, but it should not take too long if you just remember to leave your hand there. 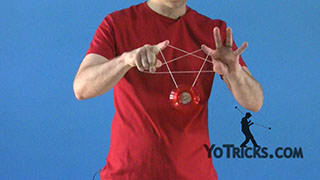 The second thing is, whatever direction the yoyo is moving when you let it go, it is going to keep moving that direction. 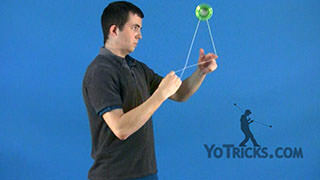 You actually don’t want to let the string go, until the yoyo is moving forward. 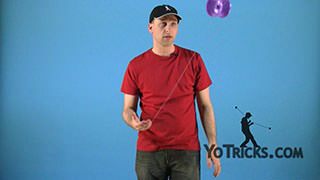 One of the mistakes you might make, is if you let the yoyo go too early it is going to go backwards, it might go straight up; you want to hold onto it a little bit long so that it will go forward. 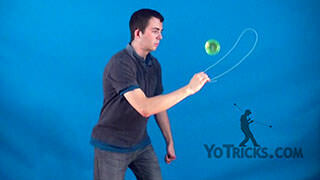 Again, that just takes a little bit of practice, you will get that down. 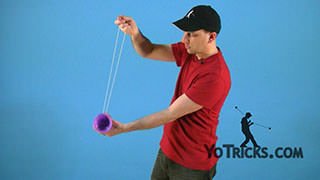 Again, when you get it, just swing the yoyo, let it go. 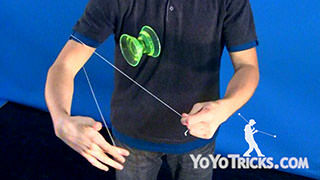 One thing I have found that makes it even easier, is if you just do a reverse flip, just like you would with a 1A yoyo. 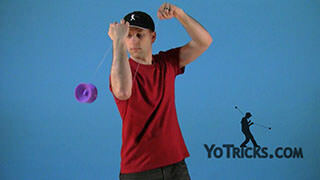 You can use the momentum and that lets the yoyo… it makes it a little bit easier to toss it forward. 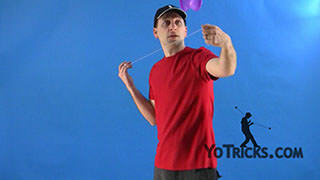 The nice thing about this trick is once you get it down you can just experiment with it. 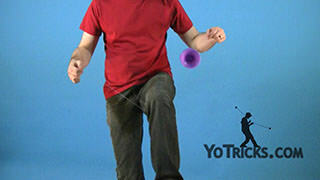 You can go under your leg, you can experiment with catching it different ways. 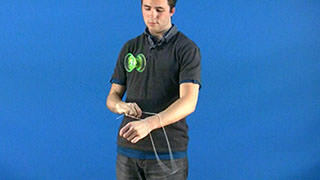 You can bring the string over the top instead of just sting your hand underneath like you normally would. 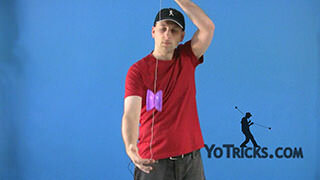 It is just a great trick for variations, and it just makes you feel like an offstring player when you start messing around with it.